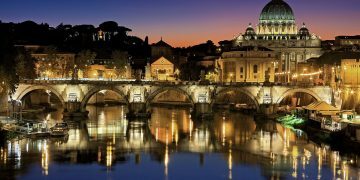 HIRE A PRIVATE ROMAN GUIDE A private, local guide is far and away the best way to make the most of a trip to a city like Rome. 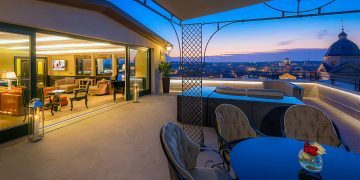 The sheer volume and variety of sights and experiences in Rome can be overwhelming for even the most seasoned traveler. For a destination like Rome, it’s important to make the most of your time. Tours are a great way to maximize your time… but if you’re like us, you aren’t interested in following a guide with 50 strangers, using a private, local guide is far and away the best way to make the most of a trip to a city like Rome. Not only do you get a personalized experience, you’re getting insight from a person who actually lives in the city. A private, local guide will take you in the “out” door, skip the lines, and pull back the velvet ropes so that you see more than you ever could on your own or with a huge tour group. Explore the labyrinth of narrow streets and beautiful wide open Piazzas of central Rome with your private driver and expert guide. Explore a lively hub of Roman life at the Campo dei Fiori marketplace (Mon-Sat mornings only) before the spectacle of the Piazza Navona opens before you. The stunning oval shaped Piazza maintains the plan of its original purpose as a Roman athletics track. Today the piazza is flanked by cafes and restaurants with al fresco terraces, and whose centrepiece is Bernini’s famous Quattro Fiumi fountain. A short stroll away is the Pantheon, arguably Rome’s most inspiring site – the best preserved of all Roman monuments in the city. A short walk through narrow cobble-stone streets with your guide brings you past the ministries of the Italian Government, across the via del Corso to the world famous Trevi Fountain. Be sure to throw in a coin to ensure you will return to Rome one day! Finally, your guide will show you the elegant Piazza di Spagna, with the Spanish Steps rising to the Trinita di Monti. A climb to the top of the steps (there is also an elevator) rewards with stunning views over the hills of Rome and dome of St. Peter’s. 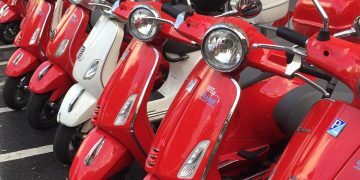 You will be met by your local English-speaking guide and private vehicle for a full-day sightseeing tour (8 hours), beginning at the Vatican City. Created as a result of the Lateran Treaty in 1929 between Pope Pius XI and the Italian government, the Vatican is the smallest independent state. Explore the treasures of the Vatican Museums, including the Sistine Chapel with its famous frescoes by Michelangelo. Visit St. Peter’s Basilica, the dominant structure of the Vatican that was erected on order by Constantine, over the tomb of the crucified St. Peter. The present structure is mostly Renaissance and Baroque, formed under the hands of masters such as Michelangelo, and the inside is an elaborate and detailed display of marble, mosaic, gilt and bronze. We have included pre-reserved entrance to the Vatican City for you, avoiding the long lines! Your afternoon tour includes a visit to the famous Colosseum, scene of gladiatorial battles. Also visit and the Roman Forum and Palatine Hill, both fascinating archaeological sites and power center of the Roman Empire.